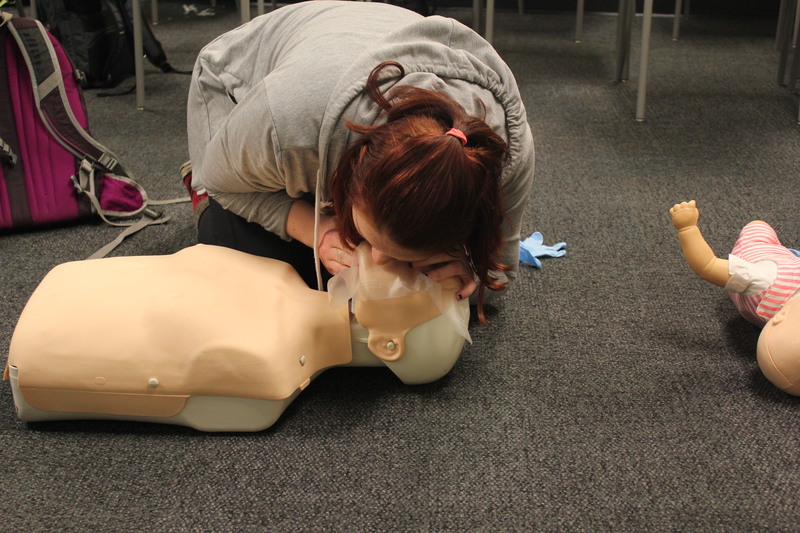 This course offers training and certification to Students, Faculty, and Staff in First Aid, CPR, and AED administration through the American Red Cross. It teaches participants how to respond appropriately to cardiac, breathing, and first-aid emergencies for adults, infants, and children through online & classroom sessions. This certification lasts 2 years. Register by November 4 through this link or at the Student Fitness Center Welcome Desk.